Far beyond ?colloidal silvers? 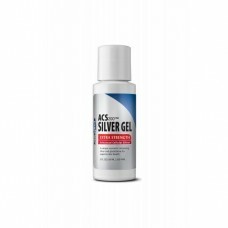 in performance ACS 200 Extra Strength provides 200 parts per million of uniquely energized silver molecules, which are suspended in ?wetter water? ; a proprietary micronutrient transport medium that is 43% lower in surface tension, enabling rapid penetration through all biological systems. No single immune support product will provide a more effective treatment or prophylaxis protocol than ACS 200 Extra Strength. It is proven to be the most powerful, broad-spectrum antimicrobial available to physicians today.